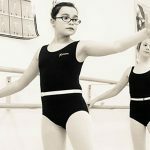 Welcome to a new and regular feature at TTP Academy, formerly To The Pointe — the Creative Movement blog. Through the past 28 years, we have been asked many questions about dance, dance training, dance studios, and everything having to do with the performing arts. Some of the same questions and comments keep popping up, so we decided to create a Blog Series to put the information out there for our students, families, friends, our local community, and beyond. We will be giving you tips and tidbits about Dance and the Performing Arts, and the arts community in the area and the state. We are including Lake Country Dance Theatre information, our non-profit partner in productions and special programs. While TTP has always been involved in the training of dancers, actors, and singers, LCDT has been the supporter of large scale musicals and ballets for which TTP provided the artistic and creative expertise. We hope you’ll tune in every week or two to hear what we have to say and, perhaps, raise your awareness, understanding, and appreciation of dance and the performing arts.